We love anything and everything Rolex. If you are thinking of selling one of these fine watches give us a call or fill out the form on the right for more information and to set up an appointment. We can help you sell your Rolex watch in the NYC area for top dollar! Since its beginning in 1905, Rolex has was able to become one of many most famous models on the planet. The Rolex logo is an iconic status symbol associated with unprecedented quality, creativity, and prestige. The basic DateJust type sets the platform for people and attracts more different designs like Explorer, the Submariner, and Sea-Dweller. Rolex developed the world’s first waterproof view in 1926 and created the renowned Rolex Submariner in 1954, the primary view able to submerging 100 yards (330 feet) marine. It also claims world’s first watch featuring multiple time zones together with the Rolex GMT Master’s subject. For people who need to sell their Rolex watch there are lots of choices. 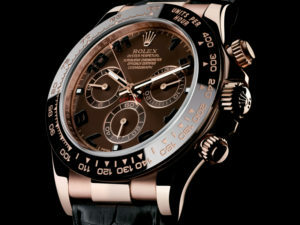 However, the best place to sell your Rolex watch for the most benefit because of its price is us hands down guaranteed. If you wish to get the best price for your Rolex watch enter your info to get a price. We are located in midtown Manhattan in NYC’s Diamond District and strive to be the best and highest paying Rolex Watch Buyer in all of New York. We are located at 30 West 47th St #806 New York, NY 10036 and we are open from 10am-6pm from Monday to Saturday and are closed on Sunday. Feel free to stop by during business hours or give us a call to make an appointment, remember bring everything that came with your watch for the best price guaranteed.